Riga! We cannot get enough of this delightful City. Elli and I love to just stroll through its streets in late summer and absorb the romantic vibe, that the city undoubtedly sends out. Local chefs have been feeding us with yummy dishes. Most them we have never seen before in our lives. Without any exception they have tasted overwhelmingly awesome and we really think it is time to cook something up for you now! 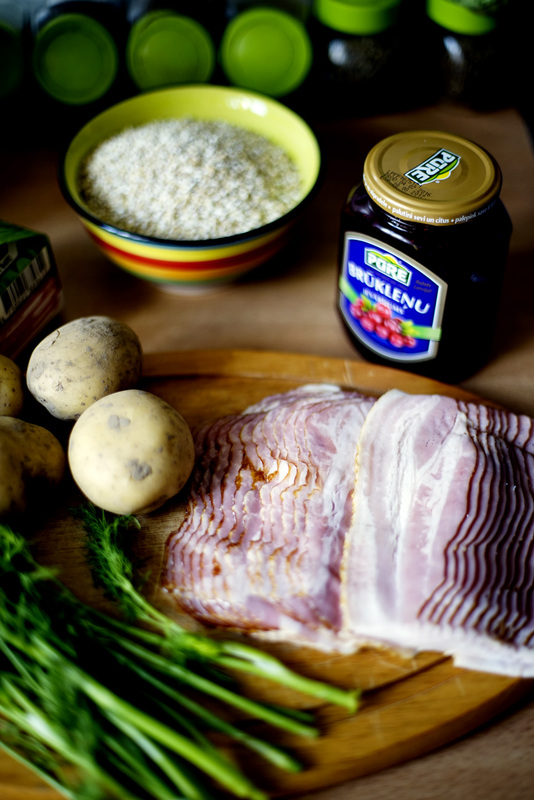 Of course we cook something local to give you that authentic taste of Latvia and bring some new smells into your home kitchen. 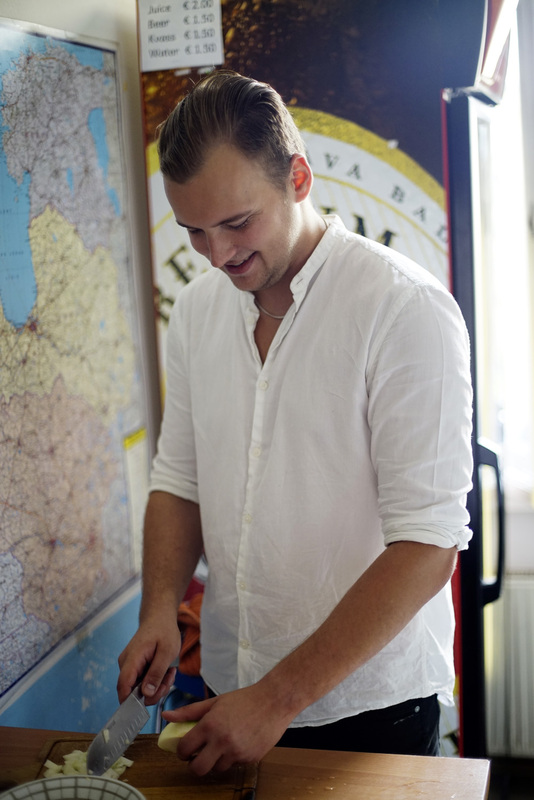 Before we arrived to Riga we have been in touch with Liva from Latvian Eats. 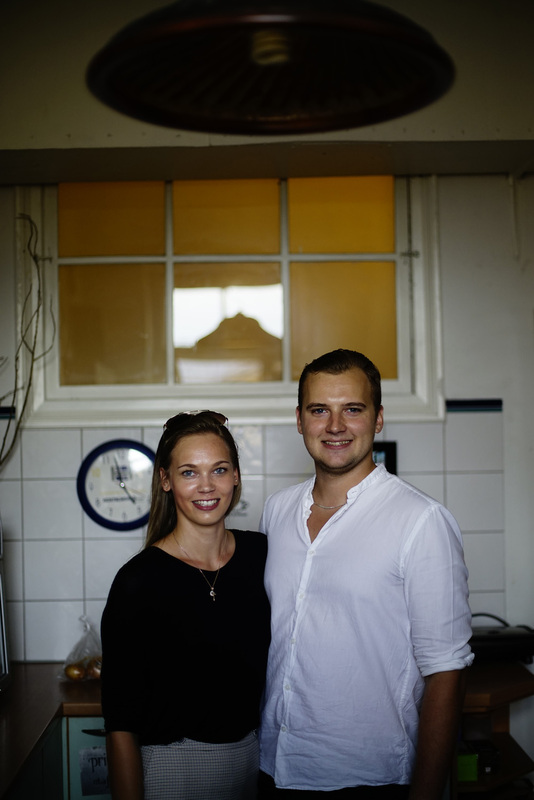 Liva has moved Australia where she now lives with her husband. 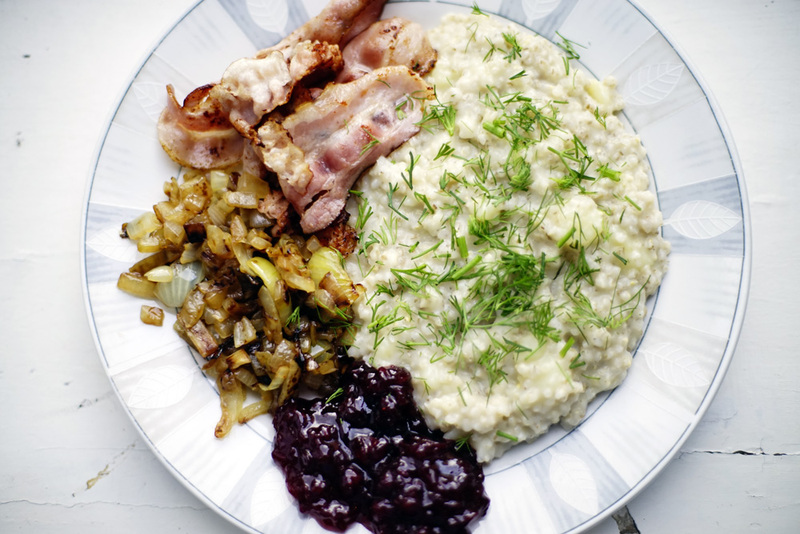 Her Blog has got a unique collection of traditional Recipes from Latvia. On her Blog Liva encourages her readers to become part of her cooking community through sharing Recipes with her. Most of these Recipes have been given from one generation to the next and certainly bring up childhood memories to most Latvians. Check out her Website and find some of the old treasures that she reveals. It is really worth it. 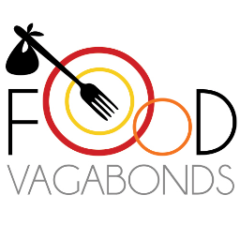 We started reading Liva’s Blog and admired her passion for the dishes of her home country. It didn’t take long and we became real fans of Latvian Eats. 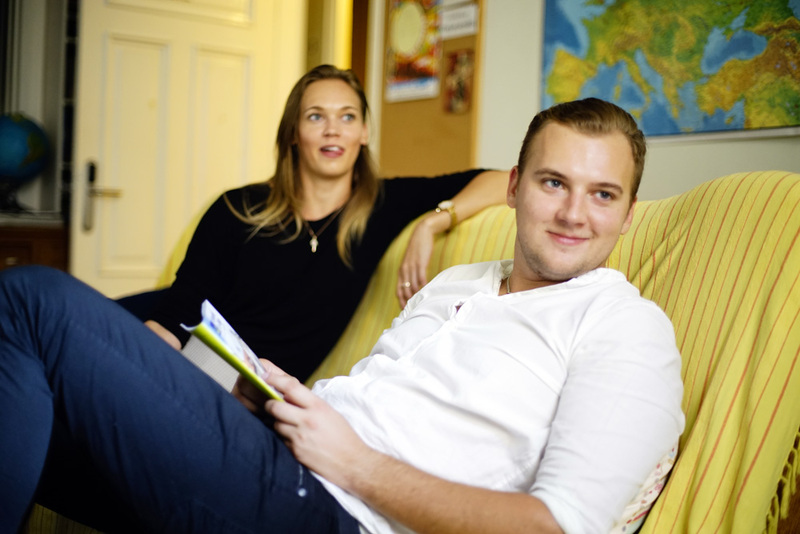 We decided to get in touch with Liva, in great hope that she could help us finding a local we can cook with in Riga. When she replied to our mail she was so nice and helpful. She immediately hooked us up with her brother Paul, who is now the chef of our little Latvian Foodstory. This brings us to the next chapter: Introducing the Chefs! These are Paul and Linda. We had an appointment with these lovely souls on a sunny afternoon in the Funky Hostel, which was the spot where the cooking took place. 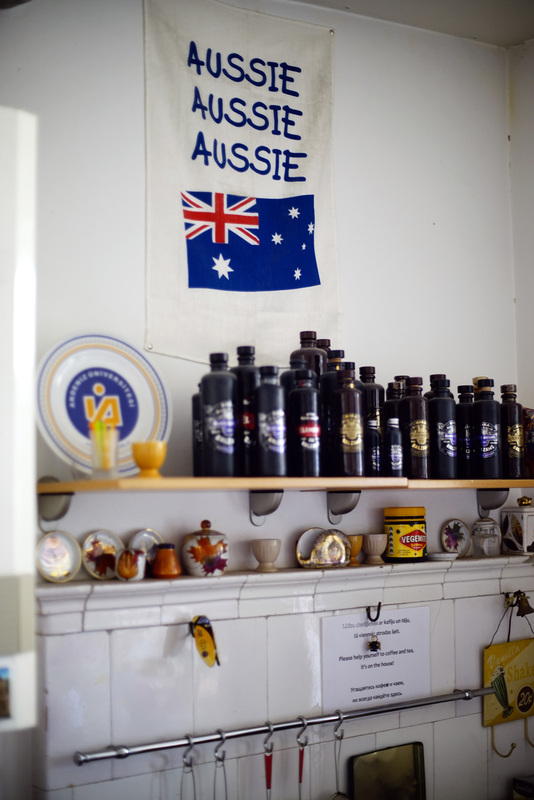 The Hostel belongs to Liva’s Australian husband Dean and you can see the Aussie touches in every corner. We loved it! This place is great escape for exhausted Backpackers, who need a comfy nest to get a break from traveling. It is located in the heart of Riga and most sights are reachable by walk. The distance international train station is just 500m. If you Backpack Riga, don’t miss this one! Manager Richard is taking really good care of the Backpackers and makes sure that everyone is feeling good! 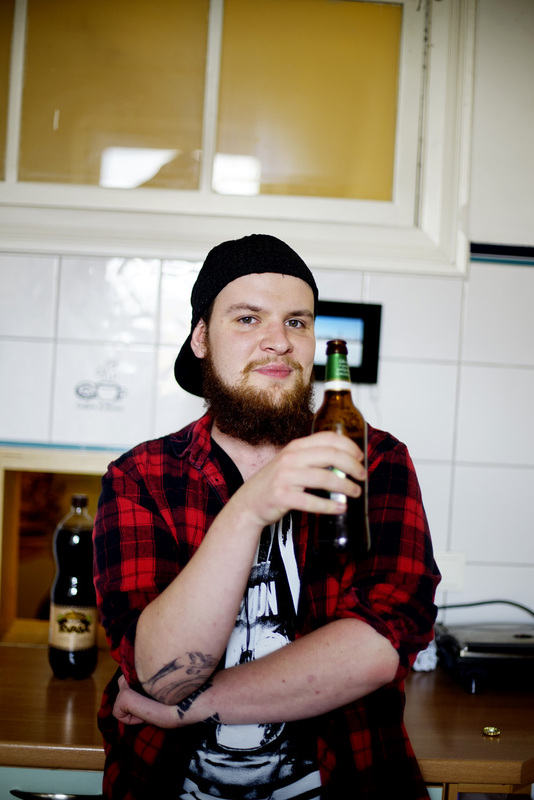 This is Richard, who also spend time in the kitchen with us, drinking the local rye bread drink called Kvas! 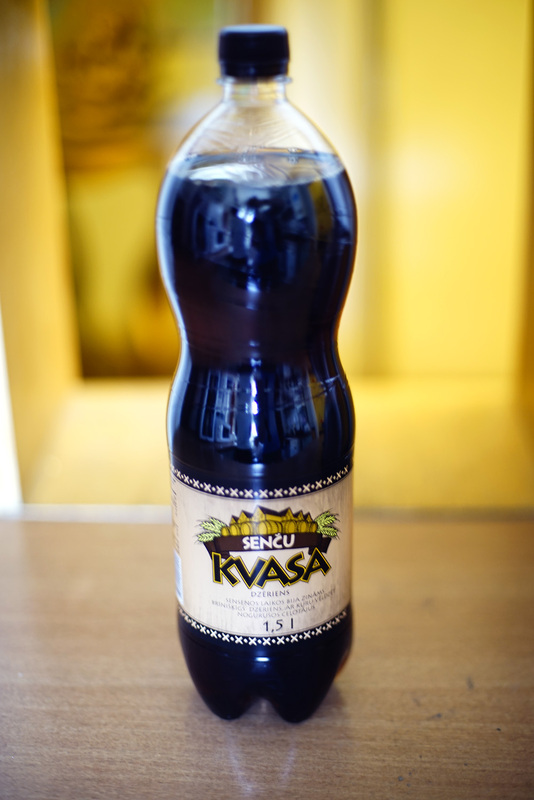 Ok, maybe he had a beer with us..
..but this is Kvasa, a local drink that is really delicious. So here we sat in the Hostel kitchen, extremely curious about what dish Paul and Linda will teach us! When we arrived at the Hostel, Paul was saying that he had chosen a very special dish – The Bukstinbiezputra. Bukstinbiezputra is a national dish. It goes back to the 18th century when Latvian farmers started growing potatoes and the first recipes were written down. 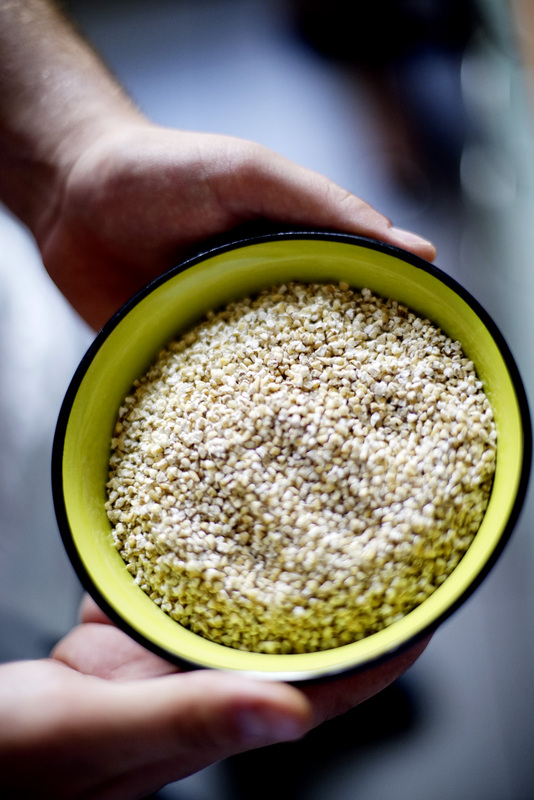 The recipe was given from one generation to the next and slowly became what is is today. A beautiful and savory porridge! It is a true grandmothers dish! Unfortunately a lot of the younger people do not know about it anymore. This was exactly what we were looking for!! We thought, that Liva also might like this dish, because it represents the spirit of Latvias forgotten culinary treasures. So here its is, the Bukstinbiezputra made by Paul and Linda from Riga, Latvia! The Recipe might have an incredible complex name, but trust me, you won’t believe how easy it is to execute it. Everybody can do it! Try and impress your friends for dinner. Step one: Bring the water to the boil and add the potato cubes and the barley groats. 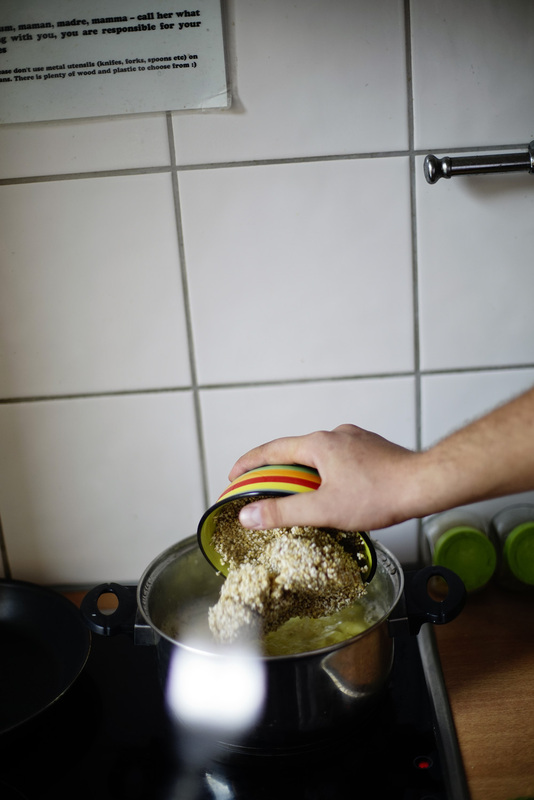 Cook the barley groats and the potato cubes on a medium heat and keep stirring occasionally, until it becomes a smooth porridge.The whole process should take up to 20 minutes. If it gets too sticky just add some more water to the pot. Finally add a good dash of cream to the pot to rich it up! When the porridge is done, season with salt and pepper. Set aside and keep warm! 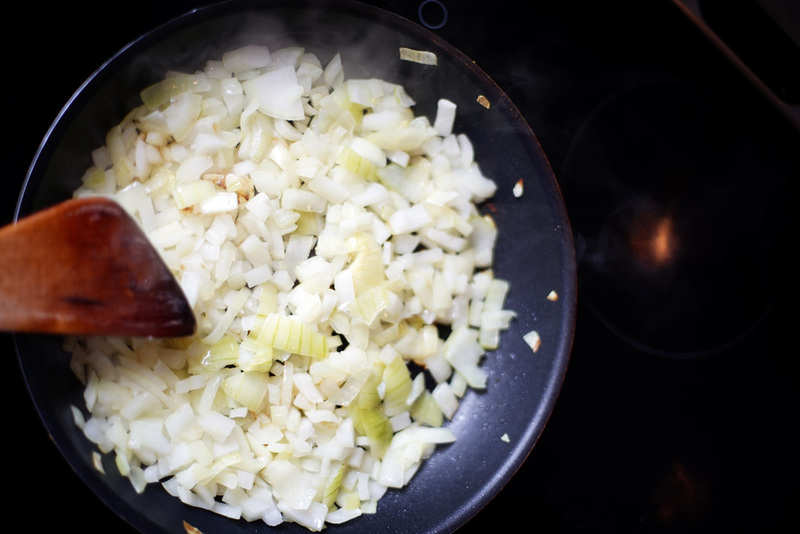 Step 2: Get your chopped onions and fry them golden brown or until your desired texture. 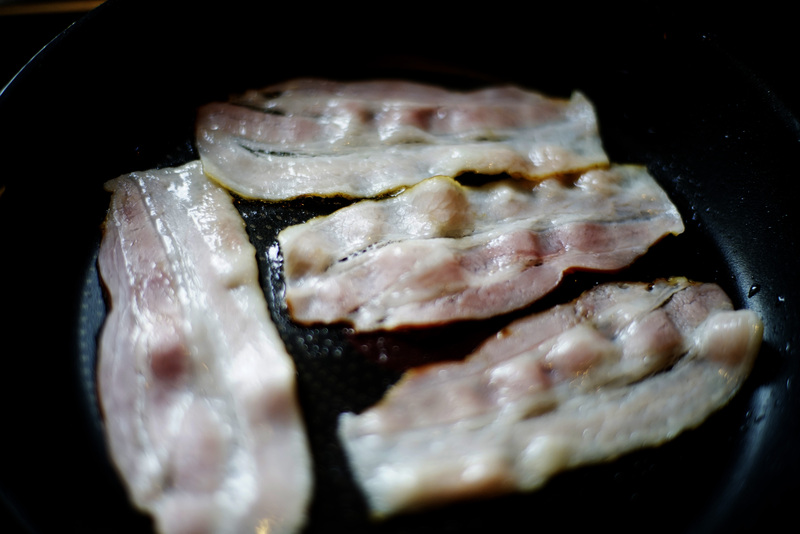 Step 3: Fry the bacon until it’s crispy! 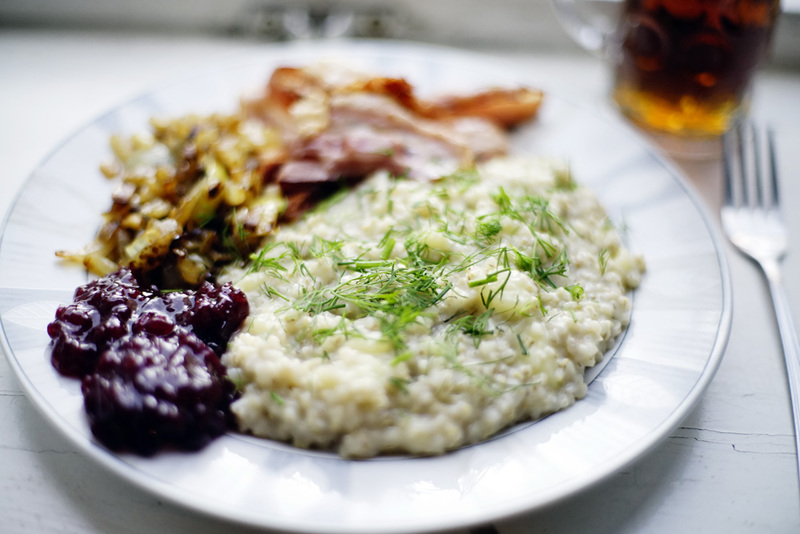 If The Porridge is the King of this dish, then the bacon is the queen! Both together just rock! Step 4: Bring all ingredients together and plate up the Bukstinbiezputra- Symphony! First the Porridge, then the onions and then bacon. For the finishing touches sprinkle fresh dill on top!! And last but not least add cranberry jam to the plate and admire that colorful masterpiece of a plate. We really enjoyed this delicious meal with Paul, Linda and Richard and we are greatful that we had the chance to learn from real locals. Thank you guys!! And a big Thanks to Liva, who made this all happen.